Ron Clarke is a member of Swansea Astronomical Society and formerly part of the education team who provided local schoolchildren with 'edutainment' every Wednesday morning during term time at the Tower on Swansea Bay, until it was closed in 2009. The schoolchildren were given an enjoyable tour of the solar system and space with the aid of Henry, a space cadet puppet and his friend Alien. The children then climbed the stairs of the tower to look at the scale model of the Solar system suspended in the stairwell of the spiral staircase. Finally they were able to see the unique 20" Shafer Maksutov telescope that served the public well. 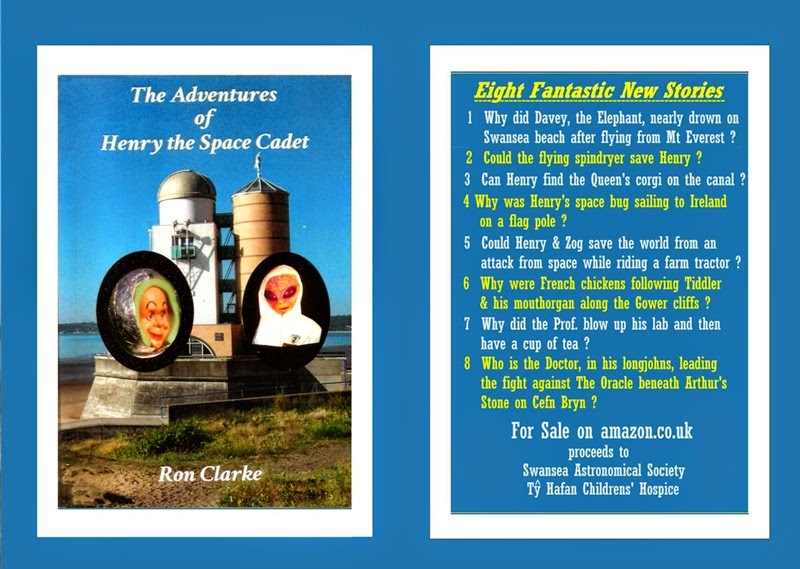 Ron has written some short stories are about the characters from the Tower - a Space Cadet and an Alien who live in an Astronomical Tower in Swansea. They befriend children on Earth and together they travel in space, rescue endangered animals, fight evil forces and are saved from death by a Welsh wizard.